It’s not the reality that shapes us, but the lens through which your brain views the world that shapes your reality (Shawn Achor). Hi. I am an bilingual outpatient clinician with IMPOWER here in the Orlando area. I have enjoyed working with youth and adolescents along with their families for over 8 years, especially in school settings. I have recently relocated to the Orlando area to continue on my vision and that is focus on serving and adding value to the lives of both youth/adolescents and adults by focusing on their strengths and working towards a positive change. It is my intention to not only serve my clients but to continue learning about innovative ways that bring positive changes to them. I am a student of life and it will be a privilege to learn about you and how I can help you move towards a positive change. 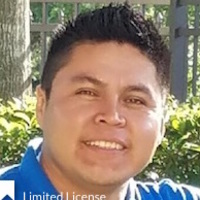 * Salvador has completed coursework and received a Masters degree from an accredited university; however, he is not fully licensed to practice independently, and is under supervision with a fully licensed Provider. The State of Florida allows individuals under supervision to provide clinical services to Medicaid patients.